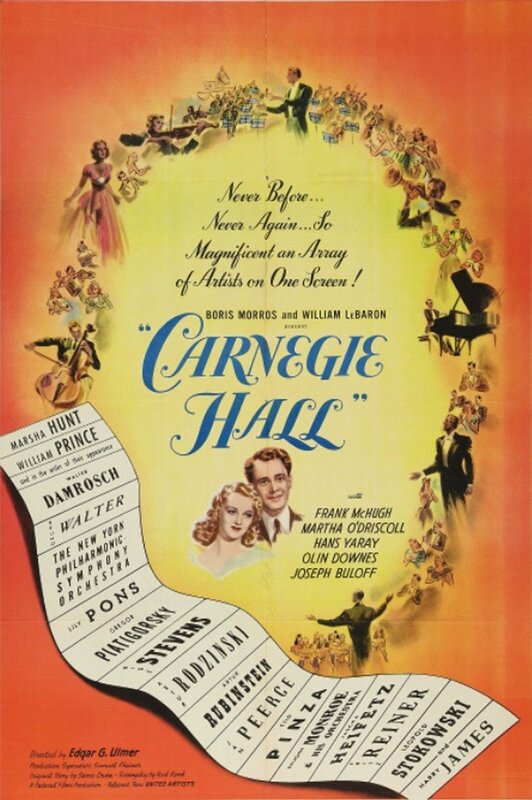 A mother (Marsha Hunt) wants her son (William Prince) to grow up to be a pianist good enough to play at Carnegie Hall but, when grown, the son prefers to play with Vaughan Monroe's orchestra. 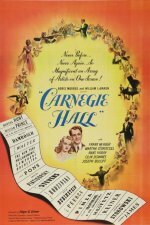 But Mama's wishes prevail and the son appears at Carnegie Hall as the composer-conductor-pianist of a modern horn concerto, with Harry James as the soloist. Frank McHugh is along as a Carnegie Hall porter and doorman, and Martha O'Driscoll is a singer who provides the love interest for Prince. Meanwhile and between while a brigade of classical music names from the 1940's (and earlier and later)appear; the conductors Walter Damrosch, Bruno Walter, Artur Rodzinski, Fritz Reiner and Leopold Stokowski; singers Rise Stevens, Lily Pons, Jan Peerce and Ezio Pinza, plus pianist Arthur Rubinstein, cellist Gregor Piatigorsky and violinist Jascha Heifetz.